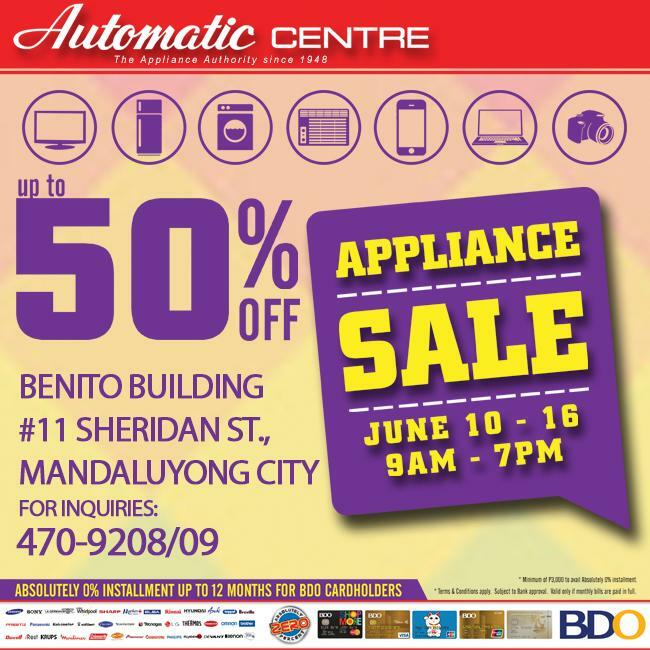 Be part of another exciting "BDO Warehouse Sale UP TO 50% OFF" here at BENITO BUILDING #11 Sheridan Street, Mandaluyong City. 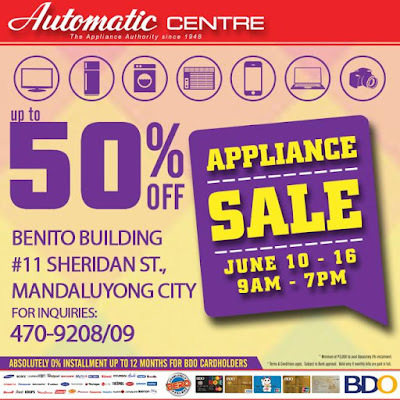 Enjoy GREAT DISCOUNTS on Selected SMART/LED TV's, Aircon, Ref, Washers, Home Theaters, Gadgets and many more. Sale event is until June 16, 2015 only!